Jeremy Begbie, in his book Voicing Creation’s Praise, proposes that art is different from other means of communication because art functions metaphorically. In other words, art as a communicative expression derives much of it’s meaning through abstraction and inference. But in order to understand that better, we need to understand how metaphors work. Begbie cites Michael Polanyi in explaining that metaphor has two elements: “tenor,” which is the subject of the metaphor, and “vehicle,” that which interacts with the tenor. Metaphor is different than symbolism, where the subject is embodied by greater meaning (e.g., the American flag symbolizes freedom, independence, and a nation). In contrast, metaphor takes two intrinsic elements, both interesting in themselves, and creates an entirely different meaning by putting them together. For example, in the metaphor, “Juliet is the sun,” Juliet is the tenor and the sun is the vehicle. Both are important and together have discrete meanings quite separate from one another. 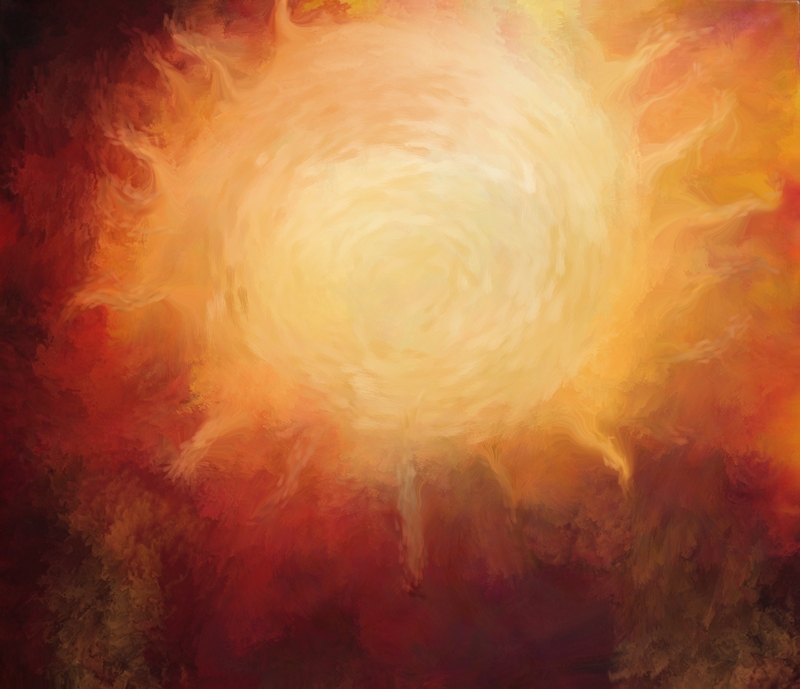 By itself, the sun could signify warmth or power or light. But by saying that “Juliet is the sun,” Shakespeare is saying something that means much more than the sum of its parts. In fact, he is saying something new and unique and not entirely explainable. The power of a good metaphor is that it is “intrinsically irreducible.” It cannot be restated or paraphrased literally without losing the sense of meaning. Metaphors add to our understanding beyond the mere literal. And this is how art is like metaphor. In art, the tenor is essentially the artistic medium that is used. For a theatrical presentation, the tenor is the stage, the lights, the actors, the backdrops. For a sculpture, it is the clay. For a poem, it is the grammatical construction, the meter and rhyme. For a painting, it is the canvas, the paints, the brushstrokes, the frame. The vehicle is the actual content. The painting may be of a bowl of fruit or a sunset. The sculpture may be of the Pieta or the Soldiers at Iwo Jima. The stage play might be a tragedy of two young lovers (Romeo and Juliet), a tale of two cities (London and Paris), or a comedy of two unlikely roommates (Felix and Oscar). In Polanyi’s definition, whatever it is the artist is trying to convey is the vehicle. Metaphor, remember, is the bringing together of both tenor and vehicle, in a way that creates an entirely different meaning. And we bring ourselves into the art as well, synthesizing both tenor and vehicle into something that stirs and moves us, and is unique to us. Think about a movie you’ve seen. Contextually speaking, we experience a series of moving pictures on a screen accompanied by dialogue, underscore, and sound effects. But as we watch the movie, we are drawn into the story. We forget the screen and the soundtrack, although they hold our complete attention. We bring our experiences, values, and intellects with us as we grapple with the characters and ideas represented before us. As we watch the story unfold—as well as experience how the visual storytellers tell their story through the medium of the motion picture—we elicit emotions, form opinions, and seek finality. And when it is over, when the lights have come up and the popcorn is gone, we know we have experienced art. Think about these very different artistic expressions: Handel’s Messiah. Munch’s The Scream. The Shawshank Redemption. The Statue of Liberty. The Starbuck’s logo. In all of these examples, tenor and vehicle combine to create an emotive, sensate meaning unique to the person who experiences it. Jesus said that the Kingdom of Heaven was like treasure hidden in a field, and like a merchant looking for fine pearls, and like a mustard seed. He warned us of the plank in our own eyes, the wolves in sheep’s clothing, and the house built on sand. He called us salt and light, and he offered us bread and wine. Jesus continually used metaphors and other literary devices to explain the profound and saving Truth. And those who heard the Truth experienced art. Posted in art, christianity, church, drama, faith, Imagine That, movies, music, Poetry, worship, WritingTagged art and faith, art as metaphor, Jeremy Begbie, Michael Polanyi, Voicing Creation's PraiseBookmark the permalink. One thing the church MUST get over to create attractive art is the need to overwhelm powerful metaphor with explicit moralizing. It is hard to find a Christian song or movie that allows the audience to interpret: there is almost always the Cringe Moment where art is subjugated to preaching. That is the place where the non-believer goes “Sales pitch alert!” and tunes out, and it’s usually right at the point where if we let the metaphor do it’s job they would think about it for months! We have to trust God to speak to the audience over time and in rich revelation, rather than trying to Harvest Souls like the Grim Reaper of the Arts!